iPhone is home to an abundant number of apps. The go to place to download these amazing apps is called the Apple App Store. But, in some situations, the iPhone App Store won't load or download apps on iOS 12/11even after repeated attempts. This happens when there is a bug on your phone. Sometimes, due to some software glitches, your App Store will stop working even though your internet connection is fine. Fortunately, you have come to the right place. After going through the article and carefully following every step accurately, your App Store issue will be fixed, hopefully never to return again. And you will be back to downloading apps in no time! What do you do when your iPhone app store won't load? An effective method to fix this problem is by clearing the App Store cache in your iPhone. You can do this by first launching the App Store app in your iPhone or iPad and tapping any of the navigation buttons 10 times (Featured, Explore, Top Charts, Updates, Search). 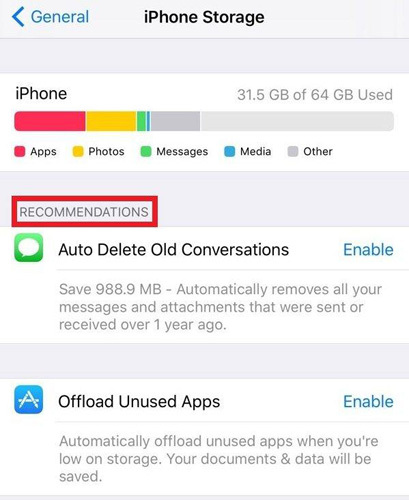 This will immediately clear all the existing cache from your iPhone. It also forces the App Store app to re-download all the information from the start. This procedure can often solve the weird bugs your iPhone might face. Go to App Store or the App Store on your iPad normally and tap down the App Store icon until you see spinning cursor notification on the top of the screen. You need to tap at the top of the screen. This forces the Apple App Store to refresh and update instantly. This pull down and refresh function will let you see any available updates for your App Store. When you see that your App Store is not responding, you have to force quit the App Store on your iPhone as it cannot be closed with the normal procedure. To access this feature, you need to go the fast app switcher on your Apple phone by tapping the home button twice. Slide through to the App Store and swipe up the app to force quit it. "Why won't my App Store load" has been asked by many users. Sometimes, by mistake, people tend to withdraw access to cellular data for the App Store. In such cases, your App Store might fail to connect to the internet. In order to solve this issue, simply turn on cellular data. Next, turn on the button for App Store so that your Apple phone gives the App Store permission to access your cellular data. You can sign out of your iTunes account or your App Store and sign in again to try and solve the issue. You can do this by first launching the settings tab and going to the iTunes and App Store option. Now simply tap on your Apple ID and click the sign out option. After you have successfully signed out of your account, go to the same tab and sign in to your Apple account with your ID and password. Open the settings tab and then open the option with name 'General'.After which you need to tap the software update option. Then click "Download and Install" to start. If you need to restart your iPhone, you need to long press and hold the sleep/wake button of your iPhone and patiently wait until the power off option appears on your phone. 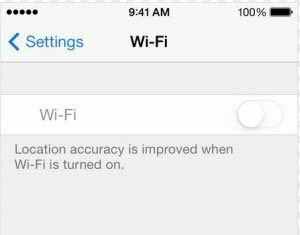 Once you see that option, simply move it from left to right to shut down your iPhone. Once your phone is shut down, press and hold the sleep/wake button and the home button simultaneously for at least 10 seconds until you see the Apple logo appear on your phone. From the Home screen of your iPhone, navigate to the settings and then tap the general button and then tap the reset button. After which you need to tap the 'reset network settings' button. You will be asked to enter your passcode. When you successfully enter the passcode of your Apple phone, your phone's network settings will be reset successfully. To check the app server on your iPhone, go to the 'System Status webpage' on your iPhone, after which you will see the current server status of all your apps. You will be notified if something is wrong with your apps in this page. Before restoring iPhone to factory settings, you need to ensure that all your data is backed up. After you get that step out of the way, you are ready to perform the factory reset. This procedure will completely wipe out all the data on your phone and restore it to how it came out from the factory. Go to Settings -> General -> Reset -> Reset All Content and Settings. We've seen many people keep complaining iPhone stuck or crashing after a new software update, iTunes restore or jailbreak. Actually there's a iOS System Recovery Tool ReiBoot that helps fix all kinds of iOS stuck issues. No matter your device is stuck in recovery mode, Apple logo, screen unresponsive or other situations, you can always use this tool to boot your iDevices back to normal. 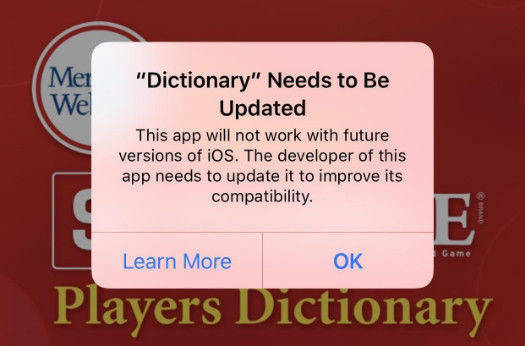 This article lists you the common ways to fix iPhone App Store not downloading apps on iOS 12. If you encpuntered other problems like iPhone recovery mode , iPhone black screen , you can also contact us for help. If you like this post, don't forget to share it with your friends.